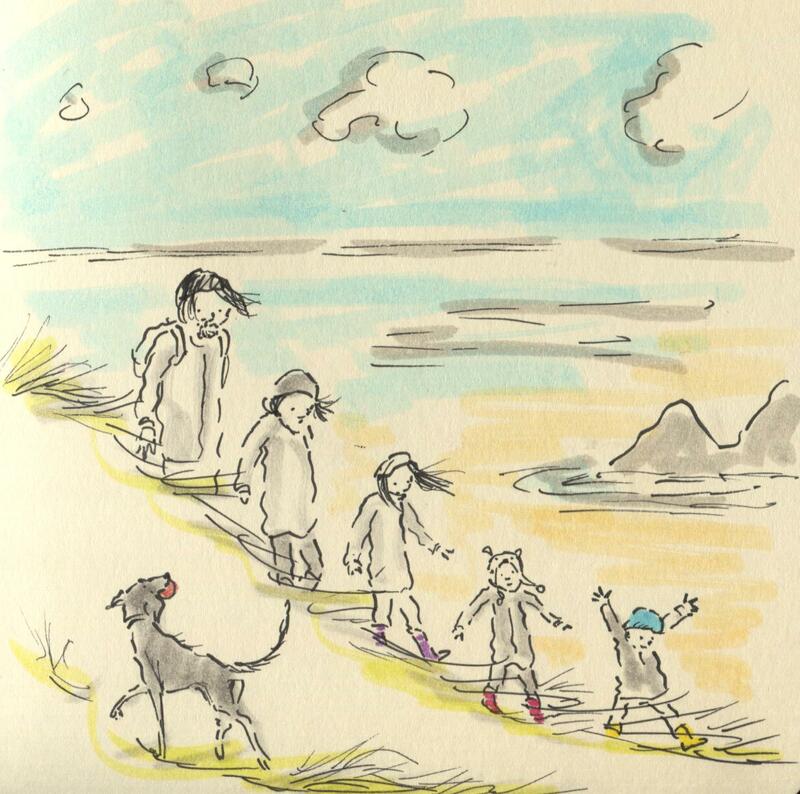 Posted on January 19, 2014, in Uncategorized and tagged Children, Dogs, Doodlemum, Drawing, Family, Humour, Illustration, Life, Pen and Ink, Sketchbook, winter. Bookmark the permalink. 6 Comments. It looks like you’re all enjoying yourselves. Wonderful! Makes me want to be there. I love your blog, what a great idea! The drawings are sweet, humorous, expressive even poignant at times. Keep it up! Ooh, this looks lovely, the colours are gorgeous. Once out, it looks like everyone had fun- especially Bonnie! I thought hot chocolate was invented for having after breezy winter walks!